Stampin Up Demonstrator - Lynne Fahey (Spiralz and Curlz): It's here.... the BRAND NEW Autumn/Winter Catalogue from Stampin' Up! 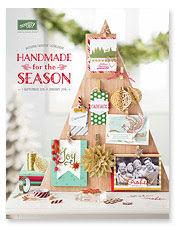 It's here.... the BRAND NEW Autumn/Winter Catalogue from Stampin' Up! So, it's finally here..... the day where I get to officially share the BRAND NEW Autumn/Winter Catalogue from Stampin' Up! It is jammed-packed with awesomeness, yes, that's the word I am going with to sum up what's inside. There are so many stamps sets, accessories and ideas to make you want to make your Halloween and Christmas cards and gifts! I would love to hear what you think of this scrummy NEW catalogue, so please leave me a comment, and as usual, if you would like to order any of these products just click on the "SHOP NOW" button above my profile picture and it'll take you directly to my online shop that's open 24/7. Or you can email me your order and I will happily place it for you. I'll be back Tomorrow, for the Wednesday Weekly deals. If anyone would like a copy of this catalogue or the Annual catalogue, please message me and I'll got one sent out to you.